The focus of excavations this season was on early Egypt, although Randall-MacIver noted that there were numerous graves of Dynasty 18 and Dynasty 12 north of the Predynastic burials. These were not investigated. Randall-MacIver identified two cemeteries - cemetery a and cemetery b - although these probably were part of one large cemetery. 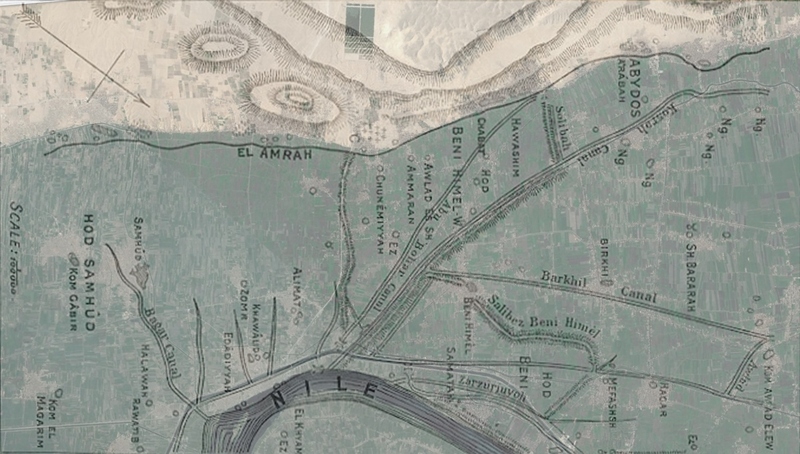 Cemetery a was estimated to include more than 600 graves and cemetery b to contain about 400. London, Lucy Gura Archive, Egypt Exploration Society looks after some of the images from the excavation. There are no known notebooks or tomb cards. Randall-MacIver, David, 1901. A prehistoric cemetery at El Amrah in Egypt : preliminary report of excavations. Man 1, 49-54. 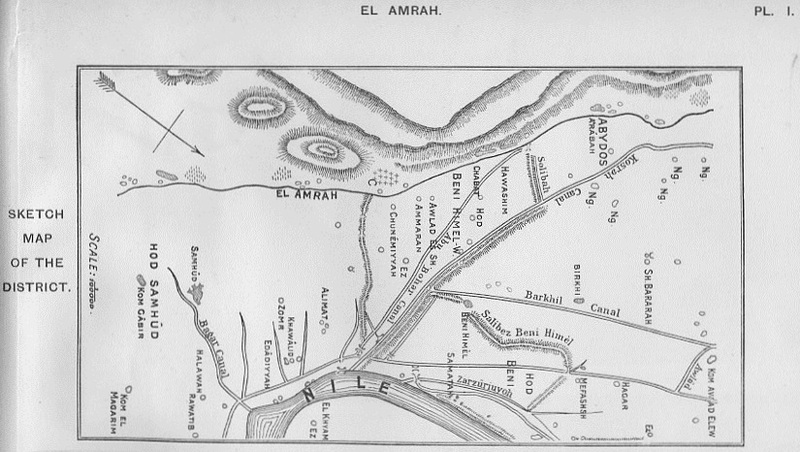 Excavator's map of the cemeteries of el-Amra, as published in the 1902 excavation report.